After a seven-year absence from screens down under, the classic game show is making a triumphant return with a new host. The results are in, and the survey says Australia wants Family Feud back. In the wake of the firing of 150 of its staff, as well as canceling its morning show Wake Up and their early, morning and late news bulletins, the cash-strapped Ten Network announced on Sunday that it intends to revive the classic game show, with production starting later this year. Feud, which hasn’t aired a first-run episode in Australia since 2007, will replace the ABC sitcom Modern Family and compete against the nightly news broadcasts on the Nine and Seven Networks. 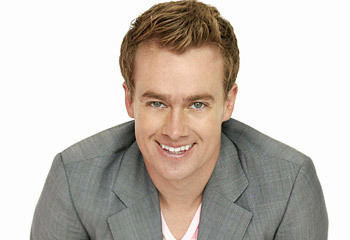 Currently tapped as host for Feud is Grant Denyer, hot on the heels of a recently-ended contract with Seven. In February, the 36-year-old television personality made Australian headlines following a report in Woman’s Day which claimed Denyer and his wife had entered a drug rehabilitation program in Thailand as a result of a $4,000-per-week crystal meth habit. Denyer has since denied the report, attributing the treatment visit to an ongoing stomach illness. Premiering a year after the debut of the Goodson-Todman-created format on the American ABC network, Family Feud was first seen on Australian screens from 1977 to 1984 on Nine. Original host Tony Barber (Sale Of The Century, Jeopardy!) was replaced by heartthrob Daryl Somers in 1980 before Sandy Scott took over for the show’s final year. Feud returned to the Seven Network in 1989. Rob Brough hosted until 1995 and was replaced by John Deeks until the show’s cancellation in 1996. 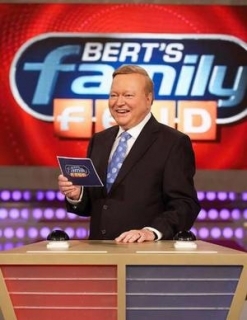 More recently, a version titled Bert’s Family Feud, hosted by former Graham Kennedy straight-man and Ford Superquiz emcee Bert Newton, aired for two seasons in 2006 and 2007 before getting the ax due to low ratings. The new Family Feud will premiere later this year at 6pm on the Ten Network.